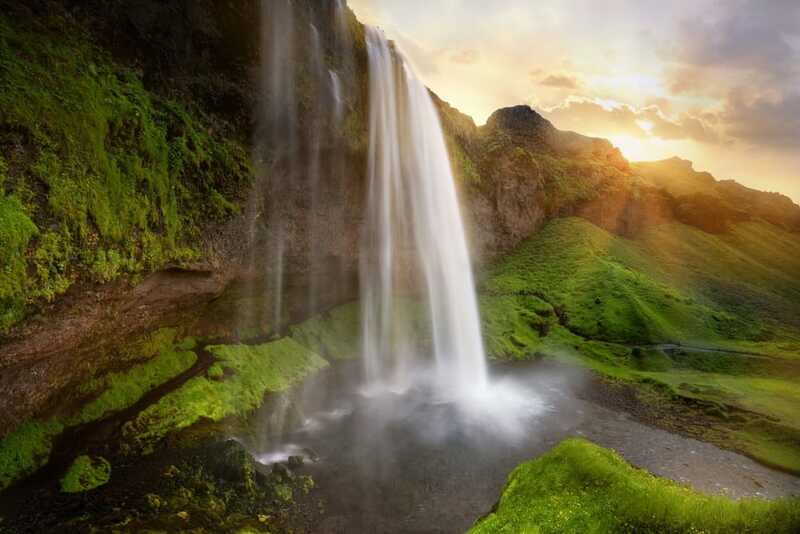 Join this tour along Iceland’s south coast to discover its stunning glaciers, lava fields, volcanoes, strong rivers, and waterfalls. You will also see an amazing black beach scattered with icebergs, next to Jökulsárlón glacier lagoon. Included: Pick-up and drop-off, English-speaking Guide, accommodation for 1 night in a double or a twin room with shared bathroom (you can upgrade to a single room for 7.500 ISK), breakfast, guided blue ice hiking tour (Necessary safety equipment for the glacier hiking is supplied free of charge), boat tour on the glacier lagoon & Free Wi-Fi on bus. 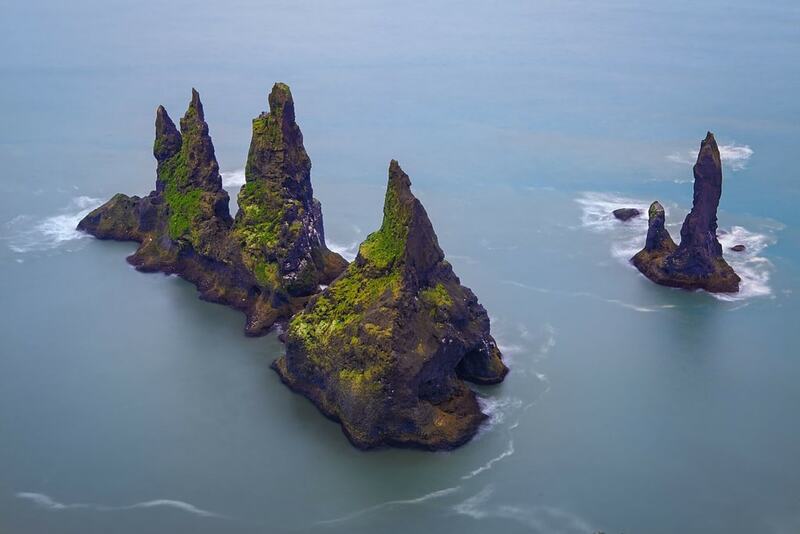 Join this tour along Iceland’s south coast to discover its stunning glaciers, lava fields, volcanoes, strong rivers, and waterfalls. 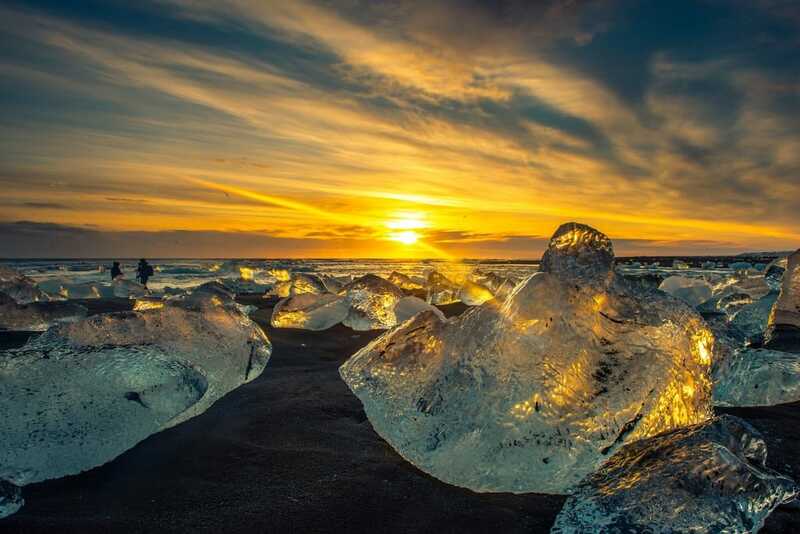 You will also see an amazing black beach scattered with icebergs, next to Jökulsárlón glacier lagoon. The stunning Jökulsárlón glacier lagoon is where huge icebergs float in ice-cold water and seals swim around them. 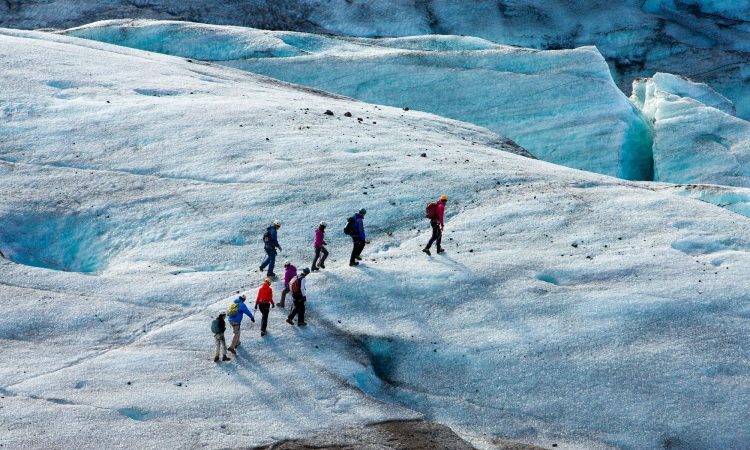 The highlights of the tour are a boat tour in Jokulsarlon the glacier lagoon in front of the biggest glacier in Europe which is located in the most amazing National park in Iceland AND a walk on blue ice in Solheimajokull. Our glacier guides are professionals and they will provide you all safety equipment needed for the Glacier Hike (crampons, ice axes, etc) and teach you how to use them in a correct way. The scenery and views from the Glacier are stunning and you see ice sculptures and the deep crevasses of the glacier in a very clear way. 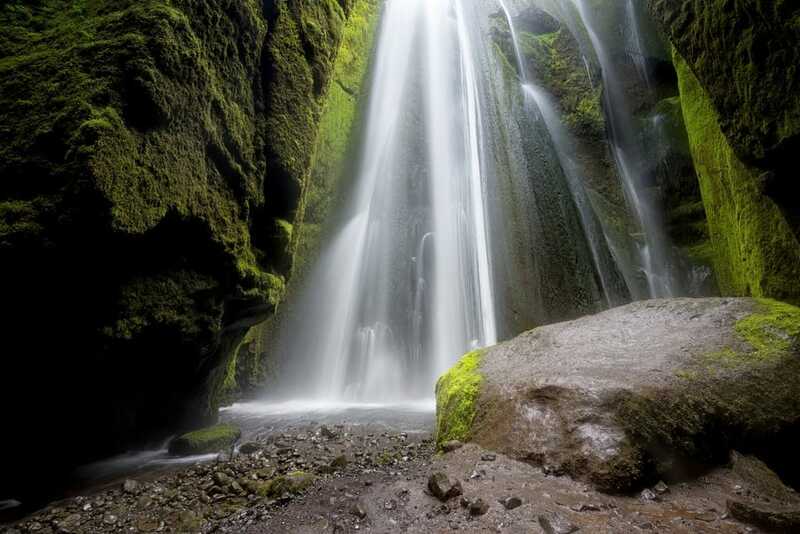 If you want to witness one of Iceland’s most incredible natural phenomenon, then you should book this tour now. There is an extremely limited availability for this unique tour. 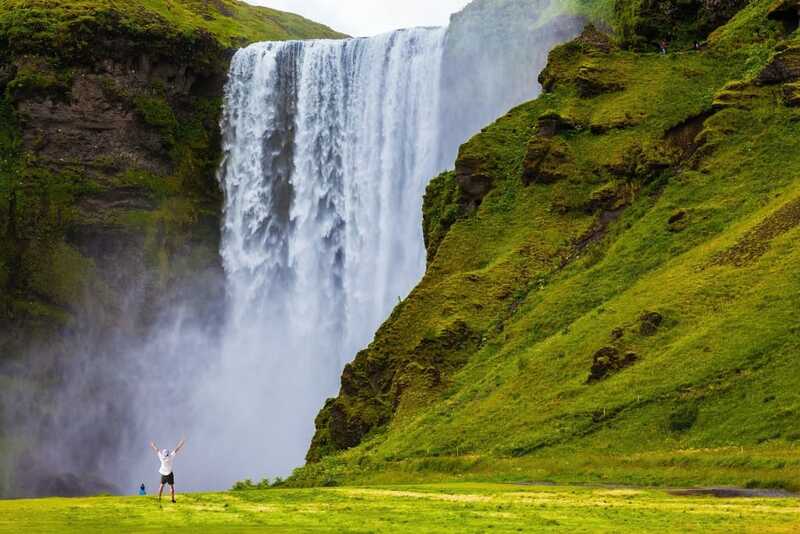 We start with visiting the two great waterfalls of the south coast, Seljalandsfoss and Skógafoss, as well as visiting lesser known, more secret waterfalls Glufrabui, Kvernufoss and Irafoss. We make a stop where guests can buy lunch. 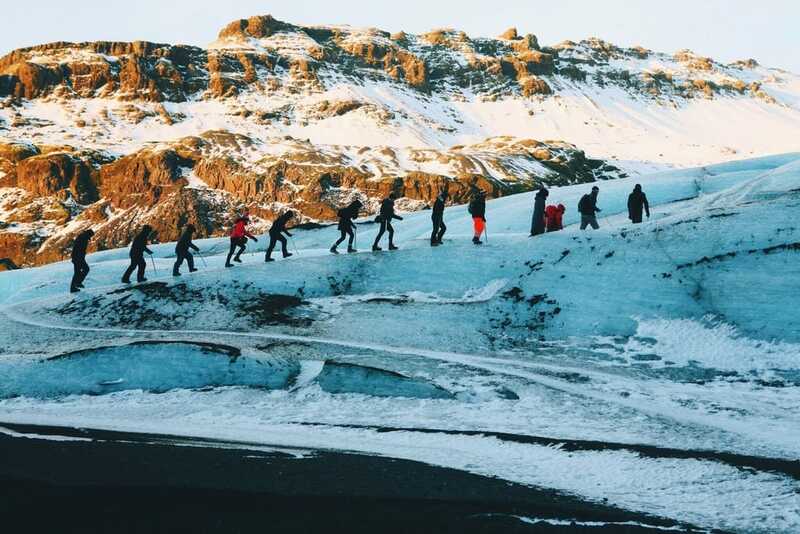 As we continue we will drive under the great Eyjafjallajökull glacier volcano and the Mýrdalsjökull glacier cap, where we take a Glacier Hike for about 1,5 hours and have a closer look at the Solheimajokull glacier. 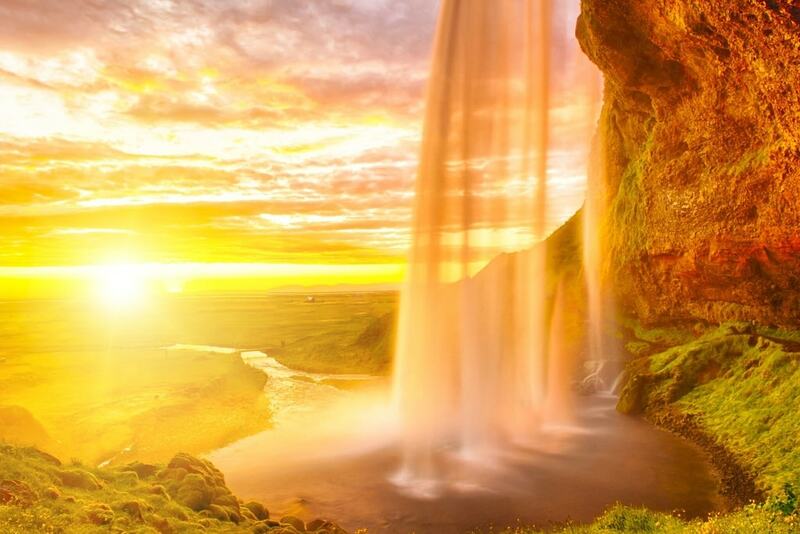 We will be staying overnight in a Nicehostel Seljalands, a very cosy accommodation close to the famous Seljalandsfoss. Today, you will take a close look at majestic glaciers and lagoons. After a stop in the lovely village of Vik we drive to the Easth where we visit the waterfall Foss á Sidu and the National park in Skaftafell where we make a stop where guests can buy lunch. Then we head to the amazing Jökulsárlón glacier lagoon where you will have a boat tour, sailing on the lagoon. The lagoon is full of huge chunks of ice which crack off Breiðamerkurjökull glacier and float slowly out to sea. Some icebergs wash on shore, lying on the vivid black sand like diamonds on satin. There is a good possibility of seeing seals swimming around the huge icebergs. After enjoying this wonderful experience we head back in the afternoon towards Reykjavik where we estimate to arrive around 21:15 (09:15pm). The tour was amazing!! I would recommend this tour to anyone who is traveling to Iceland. It was a great way to see so many of the country’s wonderful things without taking up a lot of days. Our tour guide Robert was AWESOME and made the trip even more memorable. Absolutely amazing tour, left speechless. I would recommend this to anyone travelling Iceland, as a solo traveller I thoroughly enjoyed this trip! A big applause to our tour guide Valdí for making this trip that much more special, and being so accommodating. Enjoyed a lot with this 2-day tour with Nicetravel. Our guide (Antonio) is very passionate and well-knowledgable about geography, nature, history…etc. Very caring and warm-hearted. The trip is well-organised -intense but full of fun! Enjoyed a lot of the glacier walk (Antonio and our glacier guide even extended a bit of time so that we can enjoy seeing more beautiful spots) the glacier lake boat tour was also very pleasant. During my 7 days in Iceland, among 3 agencies (4 different tours), this is the trip that I liked the most Highly recommend!